I've been testing out an awesome product for the last couple of weeks. If you're a beauty enthusiast or artist, you know a huge part of the makeup process is taking it off! But what about the recovery process? Skindinavia has it covered with their new Post-Makeup Recovery Spray. Check it out! I love the idea of giving your skin an instant boost as soon as you remove makeup so that you can prevent breakouts and keep your skin nourished and clear. 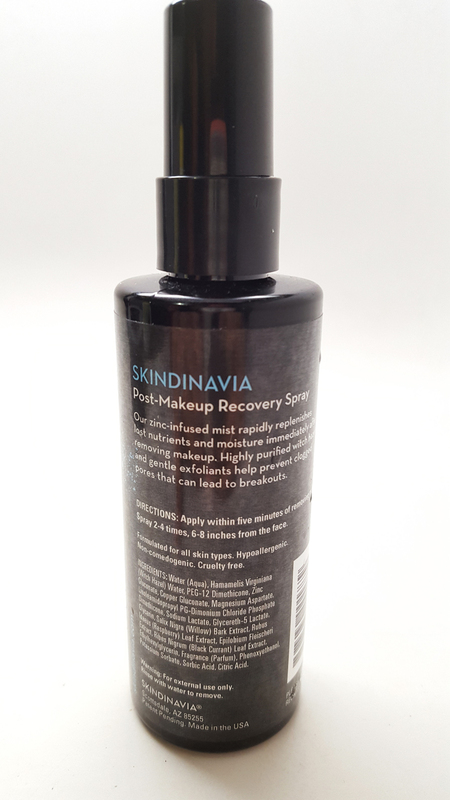 Skindinavia's formula includes a boost of key nutrients including powerhouse mineral zinc that is clinically-proven to help prevent breakouts and open clogged pores. 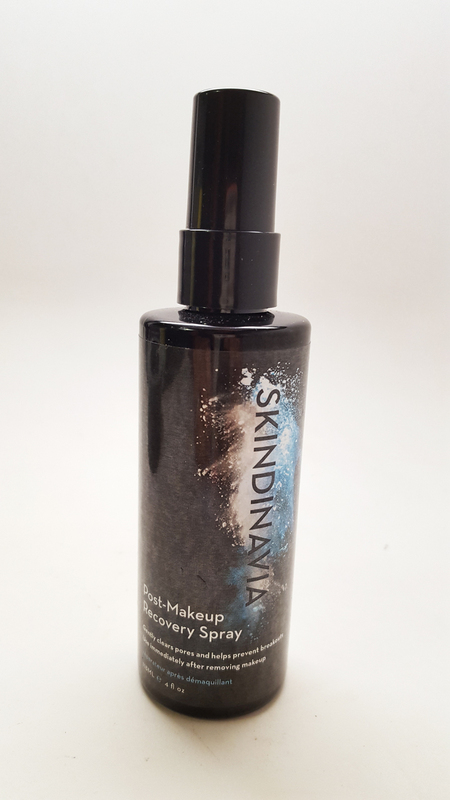 All you have to do is spritz this on you or your client's face 5 minutes after removing makeup. Easy Breezy! I think that as a Makeup Artist this is a great gift for your clients to help keep their skin clear after makeup application. I always watch the Wendy Williams YouTube channel and she removes her makeup using wipes after every show then immediately applies moisturizer- I could totally picture her using this right after to give that extra step of skin protection. Personally I've found myself keeping this next to bed on my night stand. On nights where I'm super tired and don't have time to do a full face routine. I wipe my makeup off with cleansing wipes and then spray this on after. I immediately notice my skin feels softer and more hydrated without evening adding moisturizer. It really does work!